I drank this as a pick-me-up in the final stretch of packing and it sure did the job! It was a pretty strong flavour, so if you’e not a fan of apple cider vinegar and cayenne pepper in particular I’d proceed with caution. Personally I really enjoyed it. 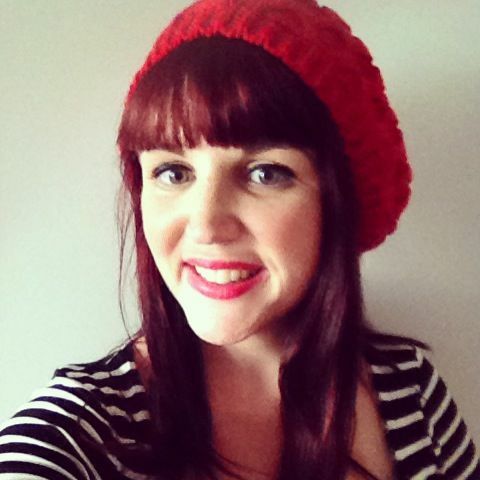 It definitely put a pep in my step and left me feeling ready to face everything on my to do list! 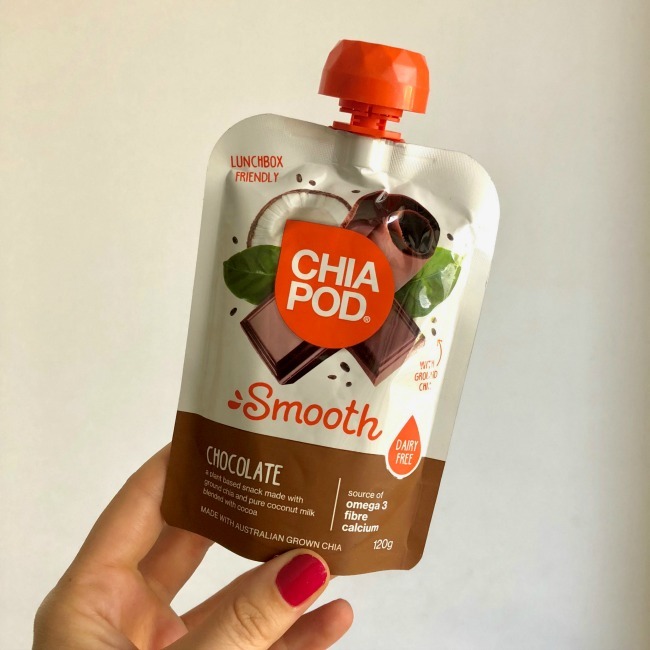 I love a chia pudding, they are often my breakfast of choice so I was excited to give this a try. I normally make my own, but as I packed up my kitchen towards the end of the month having this pre-made version on hand was incredibly useful. It was smooth, tasty and made for a super quick and easy breakfast option. Drinking it out of the pouch was probably not my preferred option as I normally add fruit to mine, but that’s a minor quibble! I’ve tried a few of these Blue Dinosaur bars in previous GoodnessMe Boxes and they make such delicious snacks. 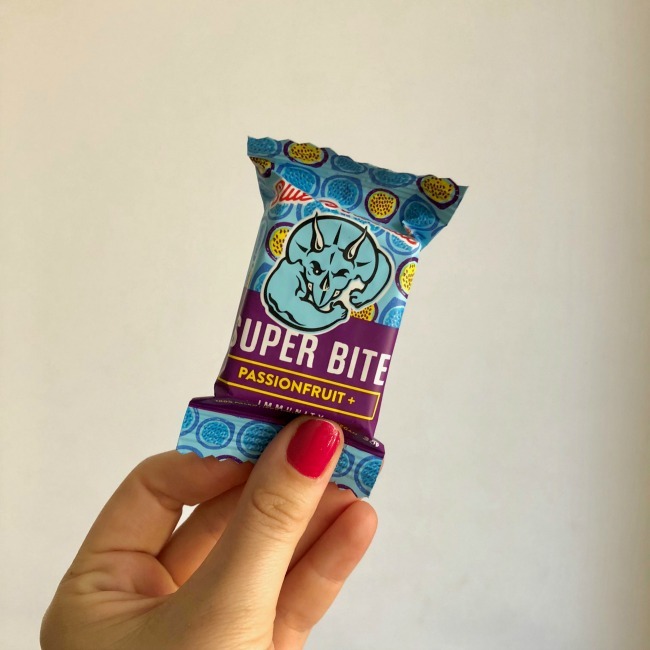 I particularly love the size of these, they really are bite sized which means they are perfect for a mid-afternoon pick-me-up. 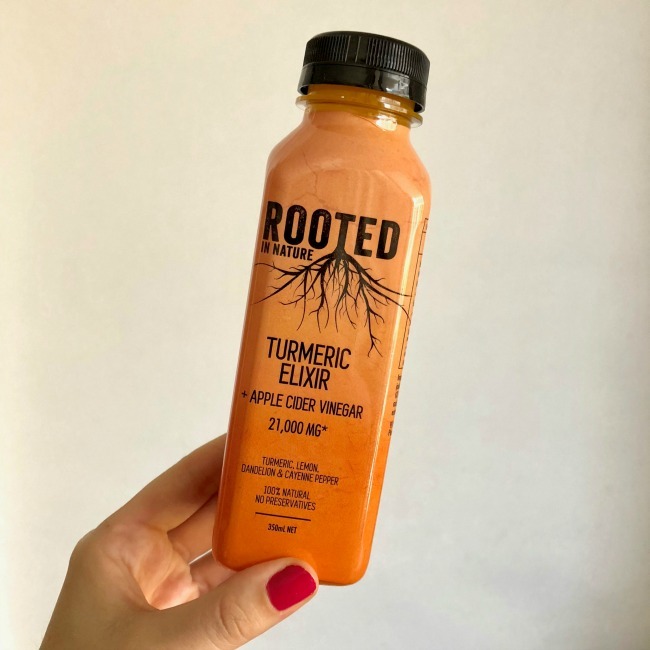 This flavour is sweet, zingy and super tasty! 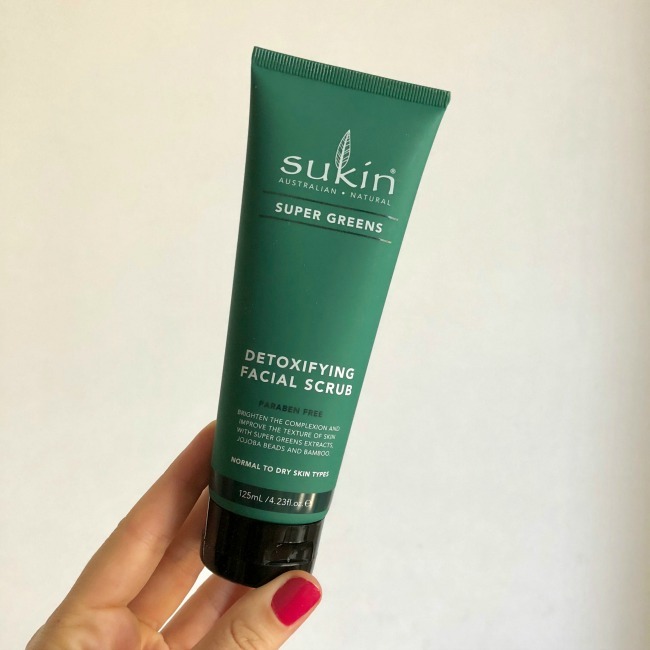 Sukin is one of my favourite skincare brands so you can imagine how happy I was to spot this in the January GoodnessMe Box! 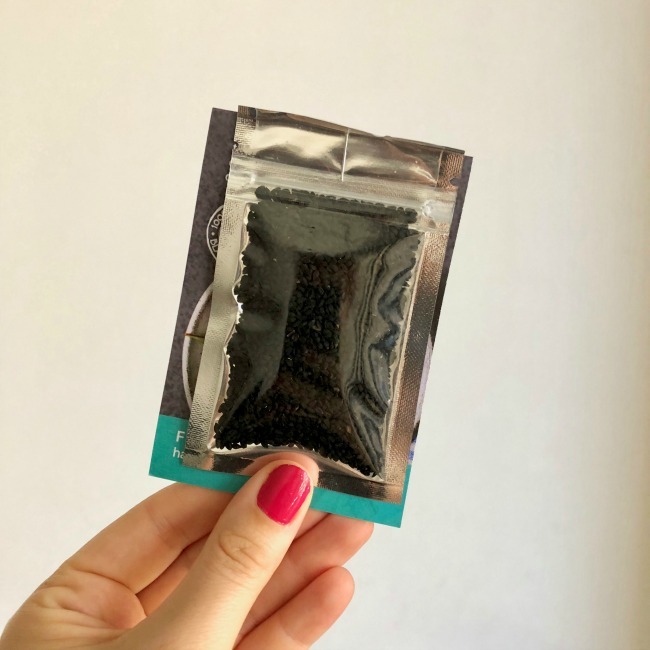 I’ve been alternating between this scrub and their charcoal one in my shower for months, so having another one on hand is always much appreciated. 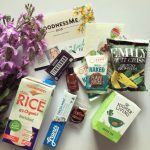 Packed with natural ingredients, a carbon neutral company – what more could you want! 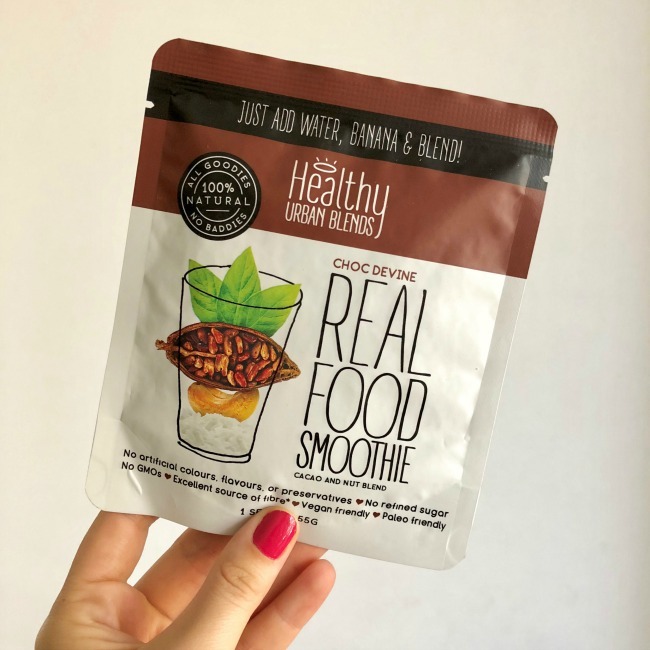 I actually haven’t given this smoothie blend a try yet, I thought I would save it until I am in need of a quick breakfast at the unpacking end of my reno! 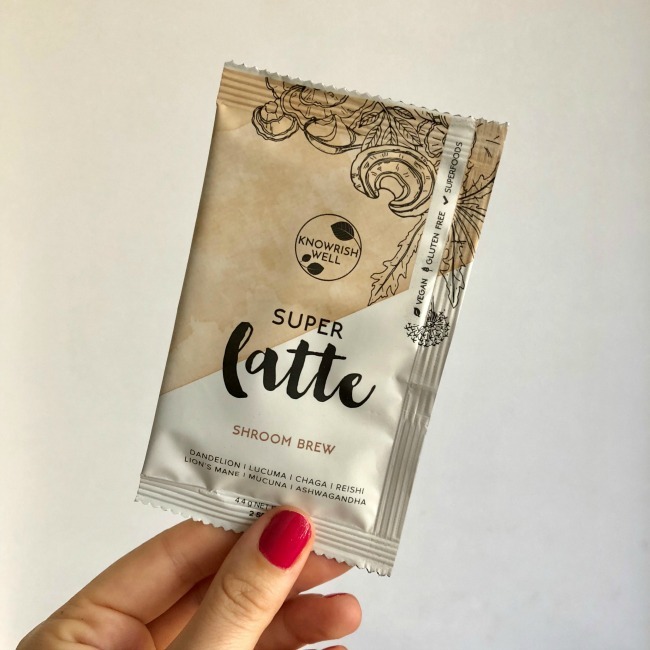 I’m pretty excited to try it though given it’s packed with some delicious sounding ingredients – cacao, coconut, cashews, what more could I want. I shall report back when I have tried it! 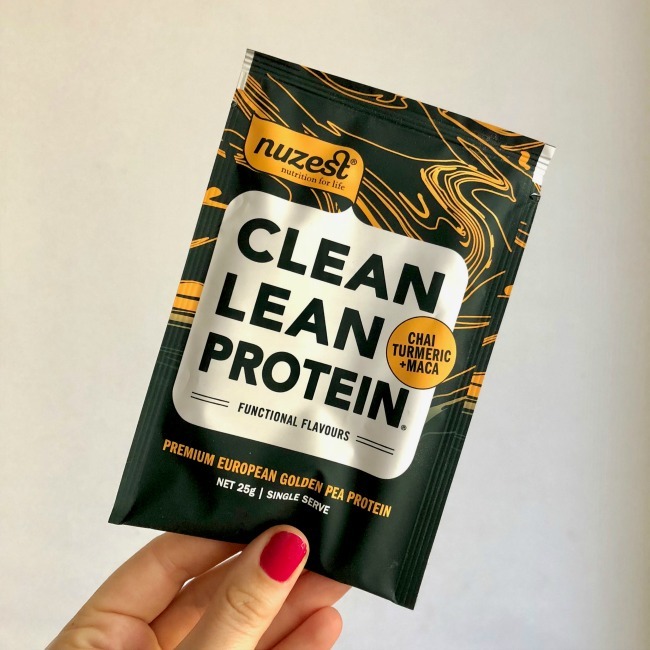 I’ve tried a few Nuzest products through previous GoodnessMe Boxes and was intrigued by this flavour. I popped it in a smoothie with some banana and coconut milk and it was a pretty tasty combo. I don’t have the world’s most powerful blender so I found it was still a little grainy, but not so much that I couldn’t enjoy it. 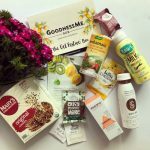 An eco friendly all-purpose cleaner couldn’t have been a better addition to the January GoodnessMe Box for me! I loved the lemongrass scent of this (no synthetic fragrances here! 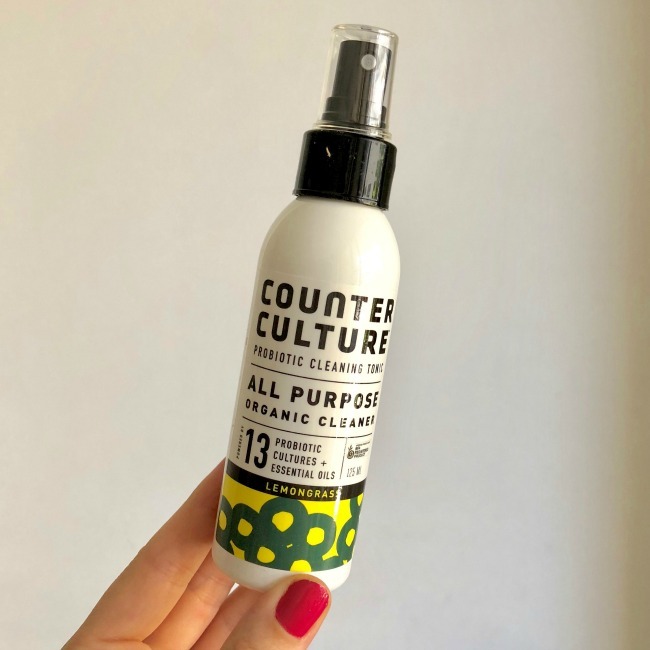 ), and even more than that I loved that it was free from the kinds of ingredients that many cleaning products are packed with. Plus, it seems to really do the job! Homemade sushi (or sushi bowls) is something I make quite regularly, so having nori in my pantry is always welcome. 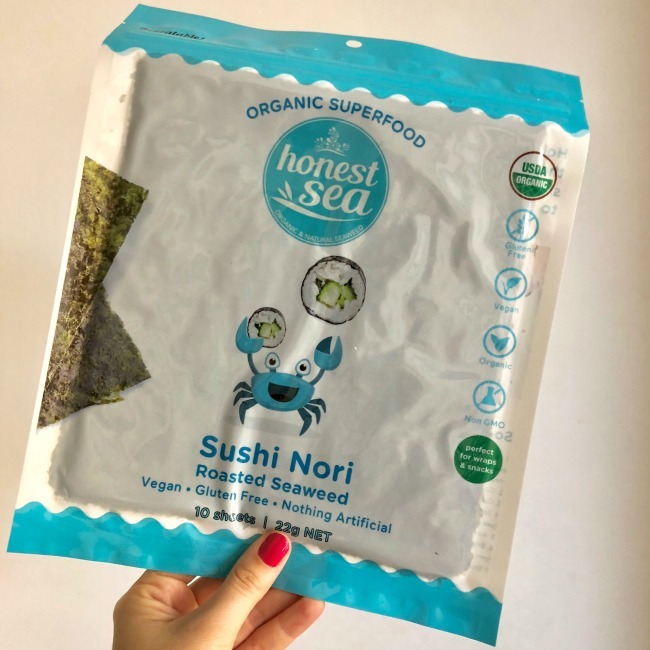 These nori sheets were used for some delicious, healthy work lunches and they were excellent. I hadn’t tried this brand before, but I’ll definitely be buying them again! I have a pretty extensive spice collection (so much so it needed to be factored in to my kitchen renos!) but somehow I didn’t have any nigella seeds. 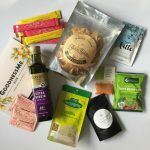 Needless to say I was pretty excited to see these in the January GoodnessMe Box and I’ve been sprinkling them on salads, roast veggies, you name it. Perfect! 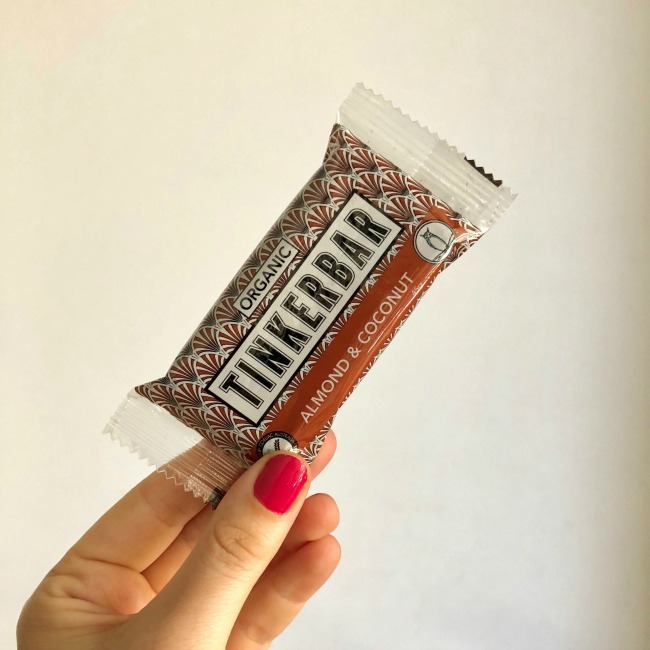 These Tinkernicks bars have been another favourite from previous GoodnessMe Boxes so I’m always happy to see them show up again. This almond and coconut flavour was absolutely delicious – slightly chocolately and not too sweet. I popped it in my drawer at work for when I really needed a treat, but it didn’t there long! The only time I’ve had mushroom lattes before are at cafes (mainly at Matcha Mylkbar actually!) so I was a bit apprehensive about making my own at home! I shouldn’t have been though, this was super easy to make and really tasty. It definitely doesn’t taste like you’re drinking a bowl of mushrooms! 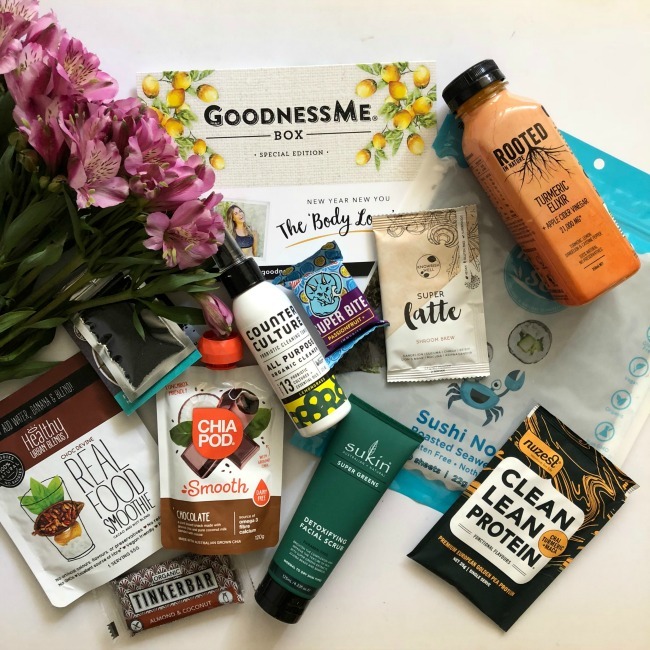 What would have been your favourite item in the January GoodnessMe Box?